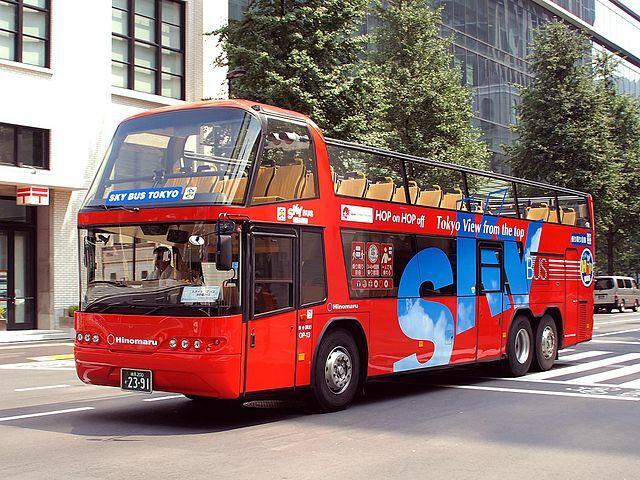 The sightseeing bus tour is one of the best ways to see the Japanese capital for the first time. With few days in Tokyo you will be hard-pressed to see the major sites by foot, train or car. But hop on a bus tour and you’ll check off all the destinations on your must-see-list, and be back for the tea. Besides, some courses in addition to the standard tourist spots also include popular hotel buffets and stage performances. Here are some of the services convenient for sightseeing in Tokyo. 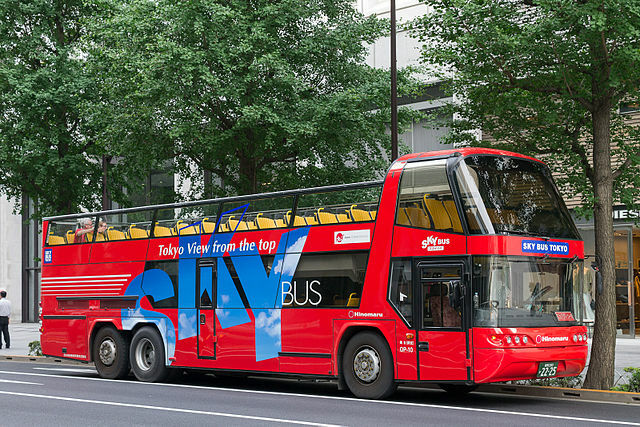 Sky Bus Tokyo operates stylish red open-top double-decker which is a good option to take a quick tour around the city center. The 50 minutes bus ride on a open-top double-decker will take you around the Imperial Palace via Ginza and Marunouchi District, showing the highlight of Tokyo's shopping and business center. Few other bus courses are offered, including a night trip to Odaiba. You can borrow a multi-language voice guide system free of charge upon purchasing a ticket. 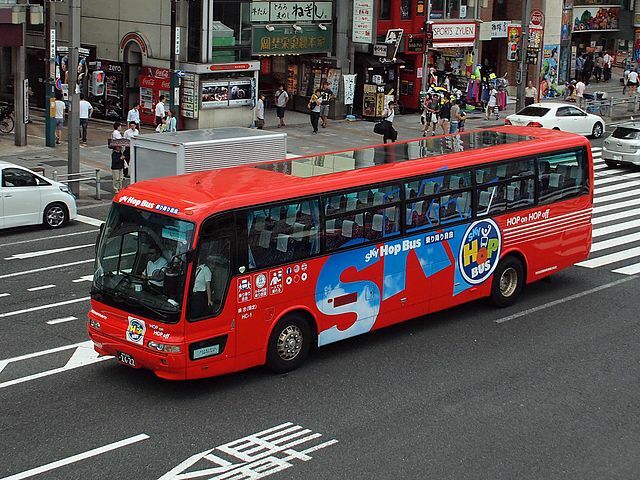 The Hop Bus provides a great introduction and helps get orientated with the main tourist areas of Tokyo. With Hop Bus you can get off or just by showing your pass to the crew hop on at any bus stop on the tour's route. No reservations for Sky Hop Bus are necessary. On travel day simply show up at one of the many clearly marked stops and hop-on. The rest of your itinerary is up to you. Tickets can be purchased at Marunouchi Mitsubishi Building - Sky Bus Ticket Counter, or in the bus. Sky Duck the 3.7-meter-tall amphibious bus takes visitors past the Tokyo Skytree tower and other popular sites before descending a ramp into the Kyu-Nakagawa River in Tokyo’s Koto Ward. After navigating the roads, the tour comes to a climax when the bus makes the transition from land to water, a process nicknamed "splash point". The thrill of entering into the water carries the same intensity and excitement as an amusement park attraction. 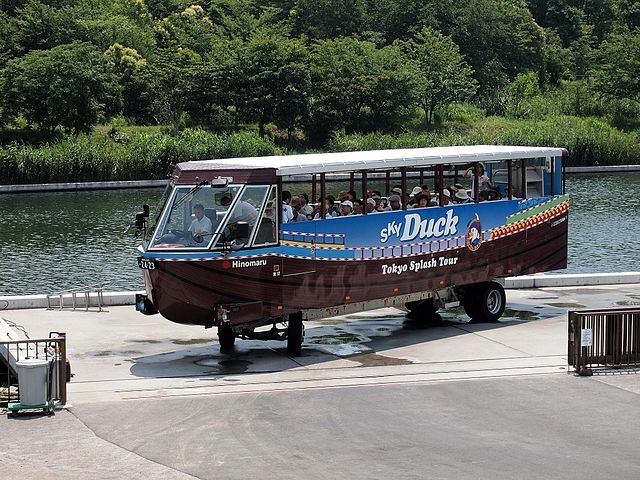 For Sky duck tours reservations are required. It is a fun ride even though foreign language tour guidance is not available. 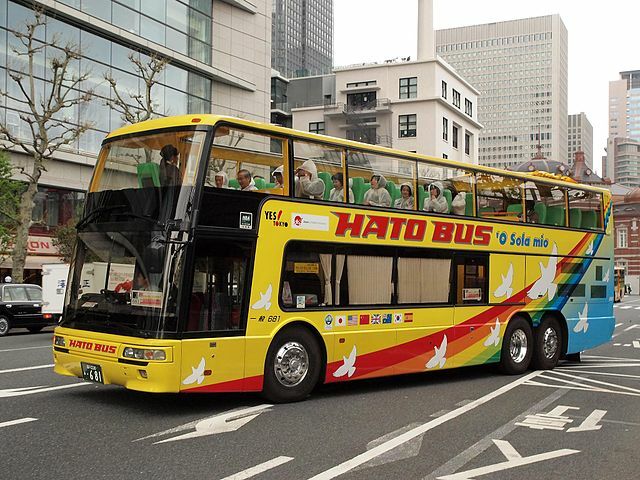 Hato Bus is an organizer of bus tours that offers a variety of courses from brief 1 hour trips around Tokyo to full-day tours. Its "O Sola mio" open-top double-decker buses offer an outstanding view of landmarks and popular places around the city. The Tokyo Aladdin "A Full Day Tours in English" that are primarily arranged for Muslim visitors would be available on Monday and Friday. 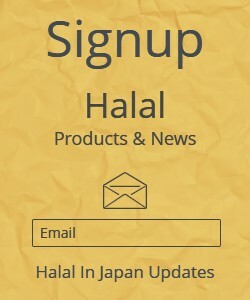 While exploring Tokyo the tour provides lunch at a Halal certified restaurant and also visits Tokyo Camii, the biggest mosque in Japan and allows time for prayer. The sightseeing tours circle a maximum number of sites and involve a minimal amount of walking. So you’ll get where you want to go and you can spend your energy on what you came for – exploring those historic landmarks, not dragging yourself around the city. This is ideal for anyone who wants to visit all the major sites on their personal itinerary but also need a bit of information to truly appreciate each site. Stop by Tourist Information Center and pick up a city guidebook.